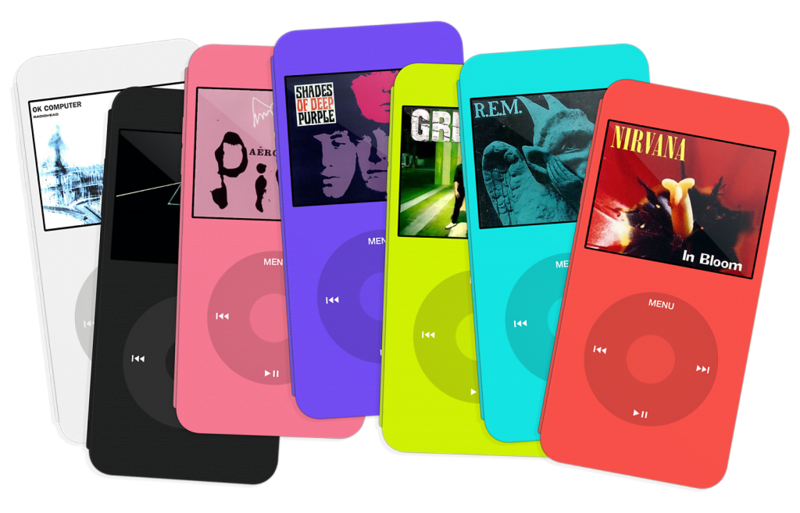 On December 2014 Apple discontinued the iPod Classic, the last successor of the first iPod with the well-known clickwheel. 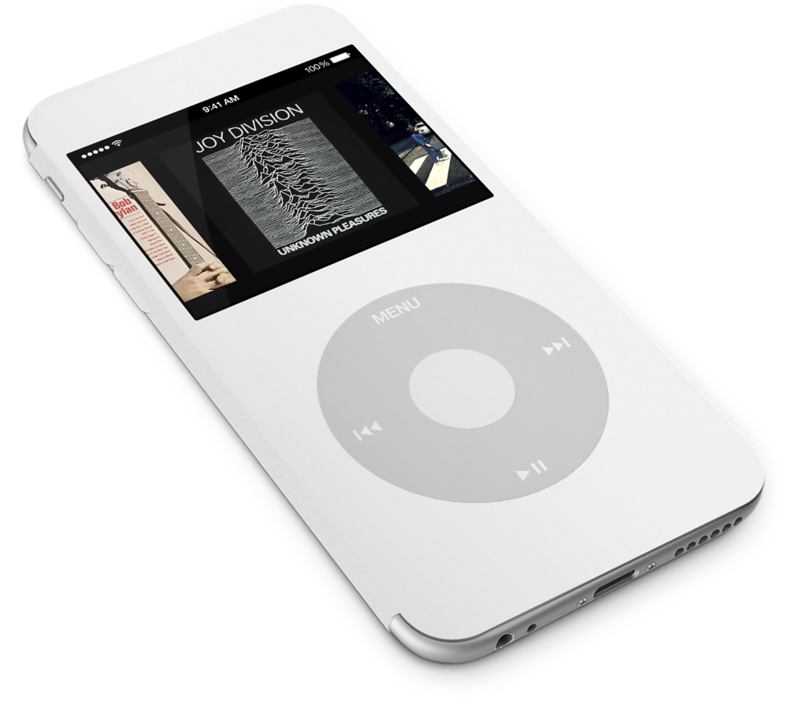 I thought to try to mix the simplicity of the iPod with proposing it as an optional accessory for the iPhones: a Smart(er) cover, similar to what the iPad counterpart. I also was inspired by several covers available for certain Android devices. Some examples are the Sony Cover Window, the Samsung Galaxy S-View Flip Cover, or the LG QuickWindow. I think those smart covers for Android could be very useful for some quick interactions, reading messages in a glance, or just checking the notifications. I didn't try all the smart covers that are around, but the ones I did try directly where quite disappointing for a real use; mainly limited. 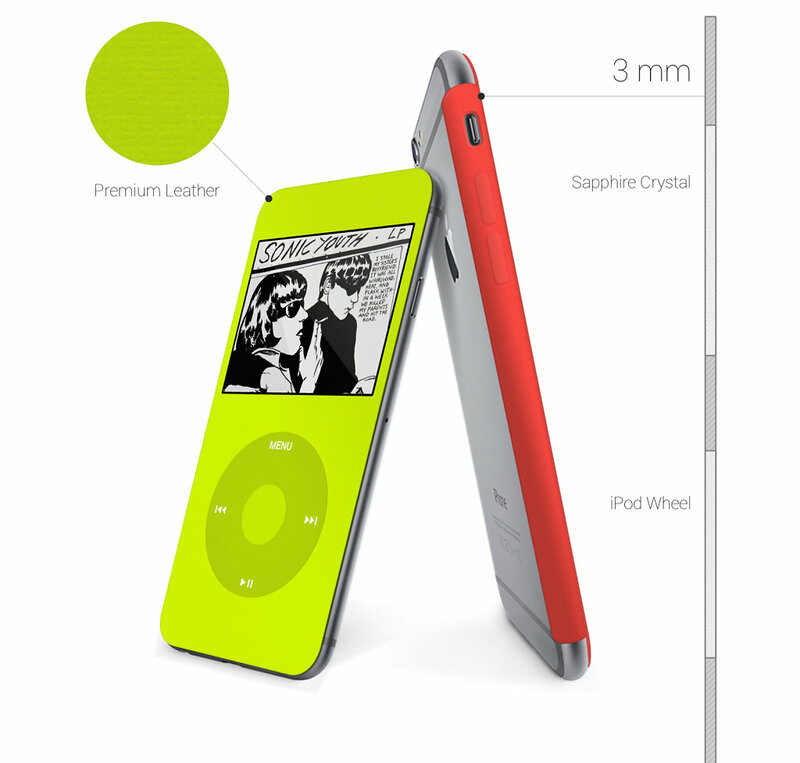 I thought the iPod Cover could be much more useful than just repeating the iPod functionality and UI as it was. Not just another way to browse notifications either, but indeed a complete widgets-modular system related to the main OS. 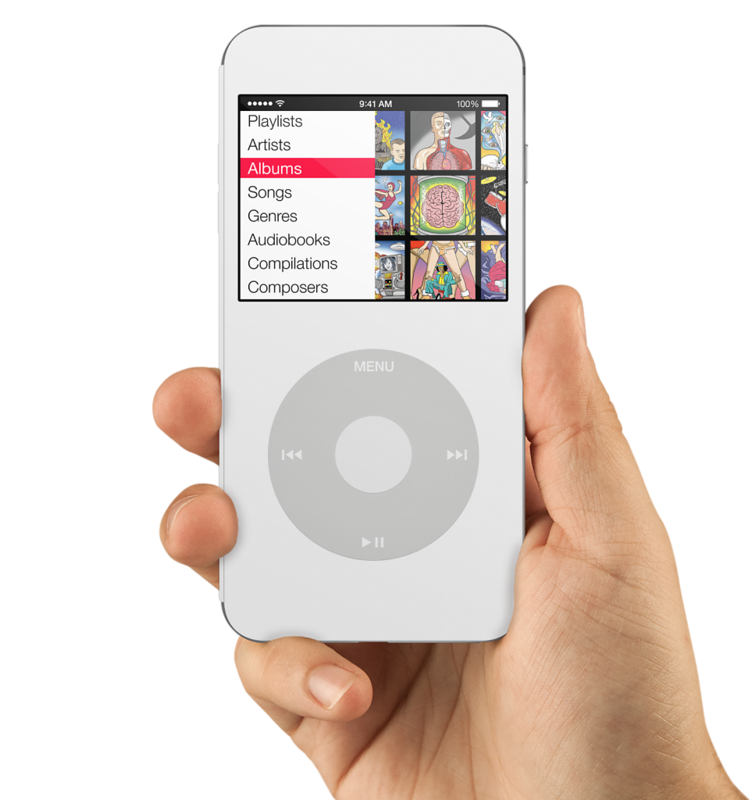 Using the touch screen or the iPod wheel directly, users could swipe among the different widgets without opening the cover. 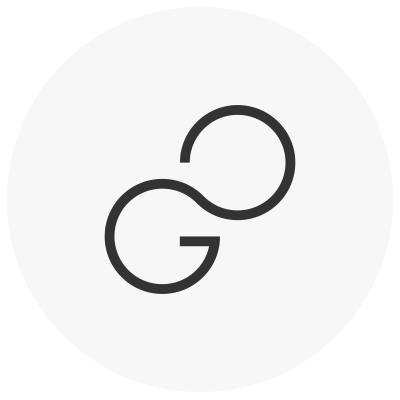 I released this concept on the January 2015, and the response from the web has been amazing. The small website I made to present the idea has been featured worldwide, all around on the Internet and social media. 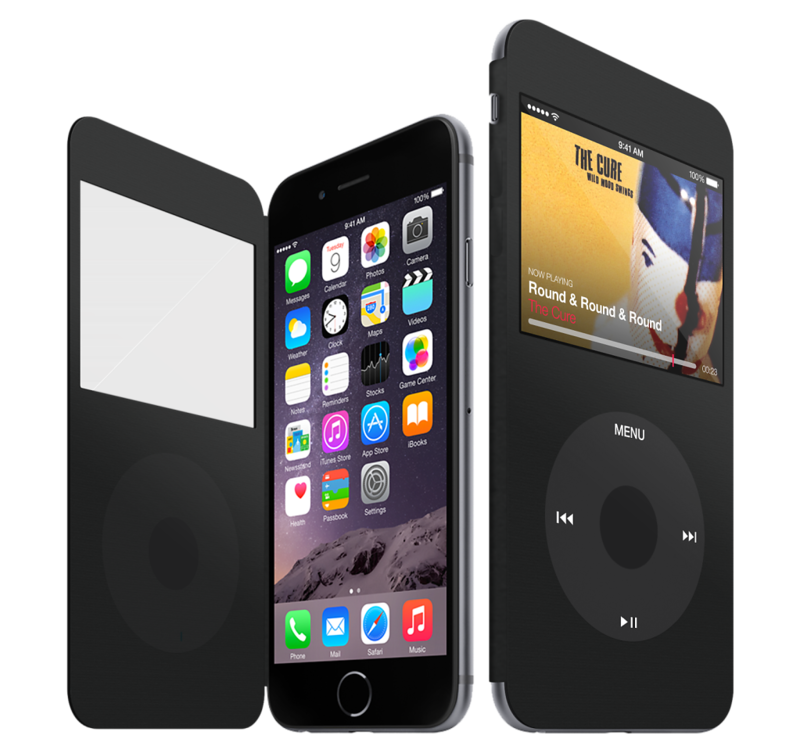 Cult of Mac - Would you buy this iPod Classic smart cover for the iPhone 6? I also received many emails from engineers and entrepreneurs in order to start making the cover for real. Many persons wrote to ask if the cover was available to buy, or even just to say they would buy it if it was a real product. 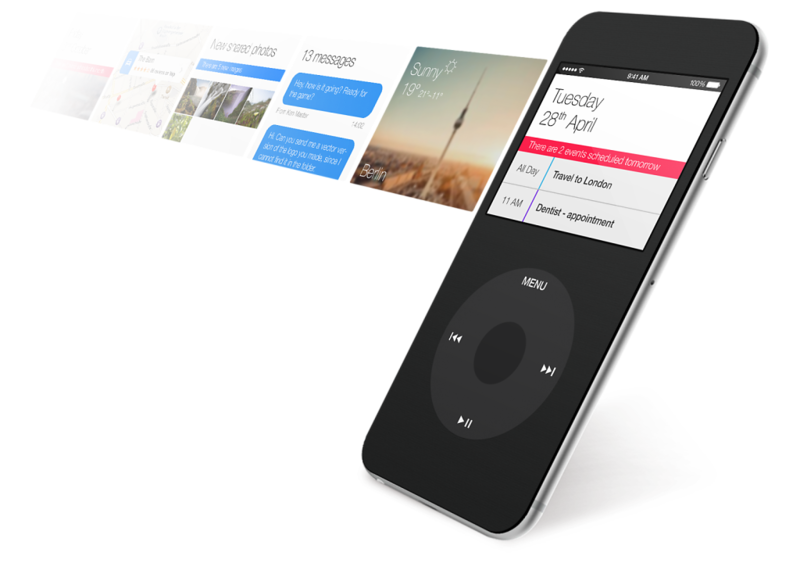 There are of course several considerations to make about copyrights and patents that belong to Apple, a possible real product would probably involve problems of this kind. Technically I think it would be possible. 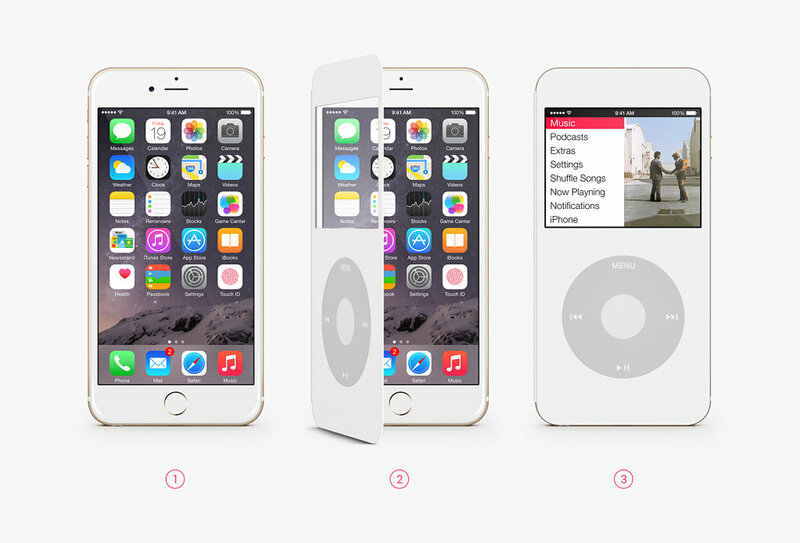 I would like to see Apple to explore these kinds of possibilities with a Smarter cover. Android devices already propose something similar, even if really limited.